Wuiske Models, in partnership with Haskell Co, have released the 1550 Class locomoties. Directional LED headlights and marker lights. Genuine Scale Kadee #58 Scale Couplers. 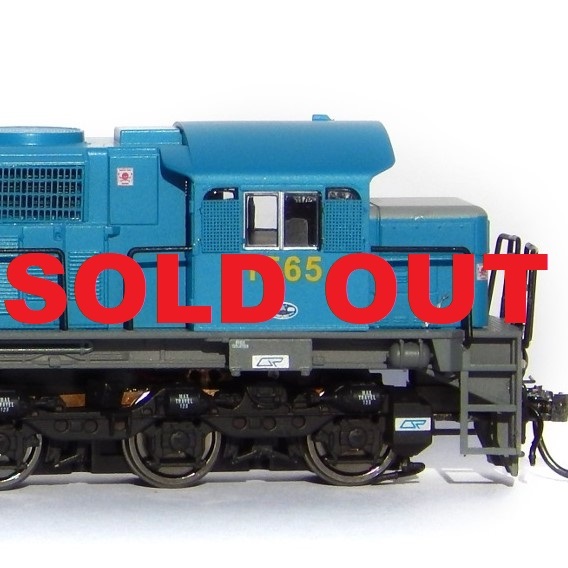 The 1550 class is the FIRST EVER mass produced RTR locomotive for Queensland modellers. These fine models have been developed over an extensive period and designed to give you many years of operating pleasure. The 1550 class was built by Clyde Engineering in Queensland and were designed as a general-purpose version of the popular 2100 class coal hauling locomotives. They were fitted with a 12 Cylinder version of the tried and tested 645 power plant and were rated exactly the same as the 1502 class. The first 6 units, 1550-1555 were introduced in 1972. A further 10 units (1556-1565) entered service in 1975 whilst units 1566-1576 were delivered soon after. The last six units were used exclusively in Goonyella Coal Traffic up until the late 1980s, for use in shunting and infrastructure trains. All other members of the class were converted to the 2300 class (1564 became 2301) between 1997 and 2000. The final six units became part of the 2250 class, beginning in 2005.